The Free State Rugby Union was established in 1895 and since its inception has carved deep footprints in the landscape of South African rugby. 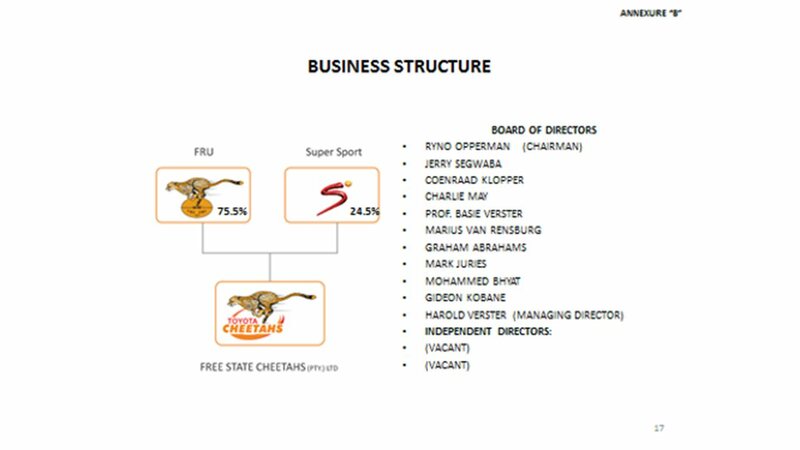 Known for its unique brand of running rugby, the Cheetahs have grown on the hearts of all South African rugby lovers and rugby fans abroad. 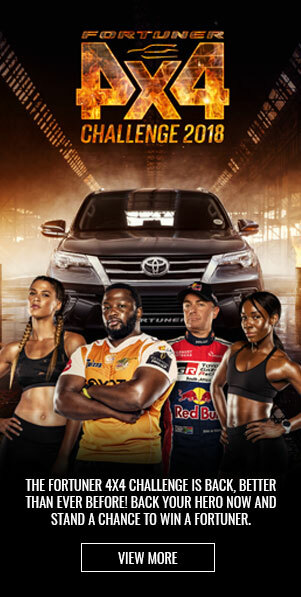 The Toyota Cheetahs are renowned for being everybody's “second favourite team” and this is reflected in the team’s viewership numbers and the growth in support base that the team has experienced over the past few years. Over recent years the Toyota Free State Cheetahs have become the domestic champions of South African rugby by winning the Currie Cup (South African Domestic Championship) on four occasions over the past 11 years. We excel in a profitable organisation that is excited by playing a winning brand of rugby, loved and respected by all.